Professor Jacqueline Bhabha, research director for the Harvard FXB Center on Health & Human Rights, explains the yearslong process the United States has long employed to vet and resettle asylum seekers from all over the globe. The horrific attacks in Paris last week elevated concerns that terrorists were exploiting the unprecedented wave of refugees flowing into Europe as cover to carry out attacks in the West. Here in America, President Obama’s plan to resettle thousands of refugees from the Syrian civil war has come under fire. And many governors, including Massachusetts Governor Charlie Baker, have announced their opposition to welcoming Syrian refugees without assurances that each would be properly vetted. But the reality of the migrant crisis in Europe is very different from what the United States faces in its efforts to resettle thousands of innocent people driven from their homes by a devastating civil war. 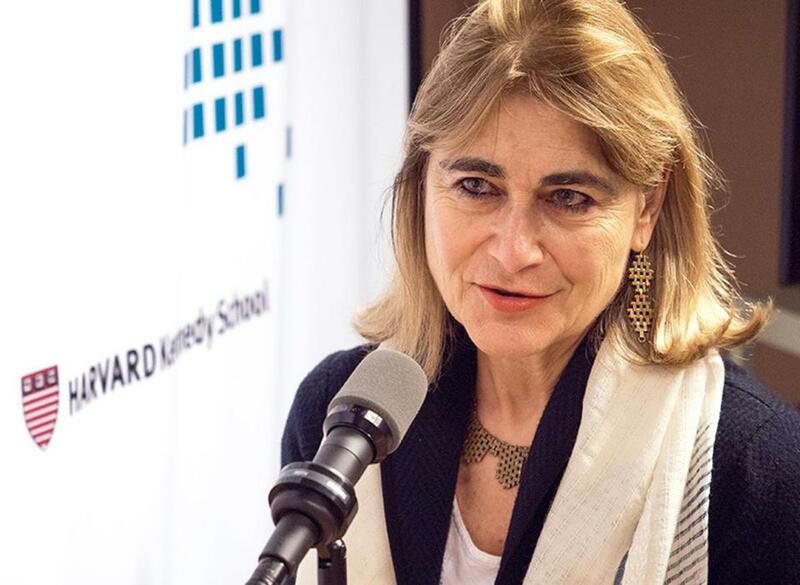 This week on the Harvard Kennedy School PolicyCast, Professor Jacqueline Bhabha, research director for the Harvard FXB Center on Health & Human Rights, explains the yearslong process the United States has long employed to vet and resettle asylum seekers from all over the globe. She also offers suggestions on what can be done to slow or stop the mass exodus from the Middle East altogether. In the full interview, which you can listen to on iTunes or on the player above, Bhabha further details how Europe has handled the influx of migrants thus far, how the Paris attacks may have changed the political calculus for many of Europe’s leaders, and what the experience is like for refugees as they attempt to find safety abroad. Read: Alex Kingsbury: From suffering in Syria to safety in Conn.
MC: Now that we’ve seen what’s happened in Paris, is that going to make things worse for immigrants trying to seek asylum? JB: Yes, I think it is, which is very sad. Because, in a way, being exposed to the direct impact of terror at one level should make people understand why people in Syria are so desperate to leave and why they need protection. But the consequences of the Paris terrorist attacks are bound to be further tightening of borders and further muscle-flexing by those who are against granting humanitarian protection to refugees. MC: President Obama approved 10,000 refugees to come to the United States. He’s now sought to increase that number, but there’s been a political backlash. In the wake of the Paris attacks, now we’re seeing more candidates speak about how we should not be taking any Syrian refugees in. What do you think about the way this has impacted politics here in the United States? JB: The US has always had an overseas refugee resettlement program. 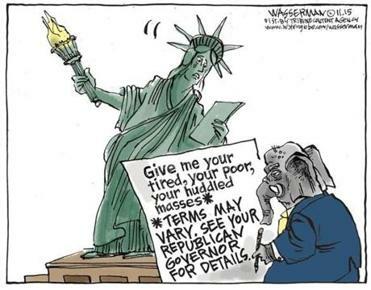 There are two ways you can come into the US as somebody needing protection from conflict: One is as an asylum seeker. So you arrive at the border, or [an airport], and you apply for asylum. The second way is you come in under the auspices of the official refugee resettlement program. The ceiling has been 70,000 overseas refugee people per year for quite awhile. After 9/11, the number went down dramatically, dropped right down to about 20,000. Then it’s been slowly creeping up, but never really reaching the top threshold of 70,000. Earlier this year President Obama announced an increase, because of the Syrian conflict, to admit a maximum of 100,000. And he specifically said that 10,000 of those slots would be reserved for Syrians, provided that they’d undergone all the necessary background checks — which as [Secretary of State] John Kerry pointed out, could take up to two years. So it’s not a easy process to get into the US, and many of us have felt very critical of that very low number. Just to make the point: one in every four people in Lebanon is a Syrian refugee and, yet, they have opened their border and accepted these people. MC: Of course, Beirut, Lebanon, also suffered a terrible terrorist attack just a day before Paris. JB: Exactly. They are countries that are very troubled, and yet the humanitarian impulse has been very much in evidence. So the US has not been generous at all in what it’s offered so far. MC: When we’re talking about bringing asylum seekers into the United States, you say this is a two-year process. How does that work? JB: As a matter of international law, you can’t be a refugee unless you’re outside your own country. It is worth remembering that we’re talking about 6 million Syrian refugees outside Syria. Typically, people will be in the neighboring countries — Lebanon, Turkey, Iraq — and some of them are in camps in Jordan. You don’t have to be formally in a camp, but you have to be outside your country. Then UNHCR, the United Nations High Commission for Refugees, which is the UN body responsible for protecting refugee populations, will interview people and determine whether they are eligible for refugee protection under international law. Then UNHCR typically creates a priority list — those who are sick, those who are most vulnerable (like unaccompanied children), those who are elderly, those who have close ties — they’ll be among the mass of people seeking and desperate to resettle in the US. There will be some who come to the head of the queue and will be subjected to US security background checks, health checks, a lot of rigorous checking, before they’re finally allowed to actually arrive. MC: And how would you change current policy, if you had the magic wand to enact whatever you could? JB: Let me say three things about that. Number one, of course, I would try to really address the underlying precipitating factors, and this is not rocket science. While the conflict persists, while you have a murderous regime and a brutal civil war, while schools are closed, hospitals are closed, daily life is interrupted, people are going to flee; we all would. So, there needs to be a sophisticated and dedicated diplomatic effort to address that. Without a resolution to the conflict, the flows of people coming out will not stop. Number two, we need to think much more rigorously about the humanitarian aid to those in the neighborhood. One of the reasons so many people are fleeing from the camps or from the neighboring area is because their life has become untenable. The UN agencies have only received about 30 or 40 percent of the funding they need just to support the refugees. There’s no funding for schools. There’s hardly any medical care and nothing but emergency medical care. There’s safety issues. There’s now an outbreak of polio and cholera. Without much more generous and rigorous international support for intervention in the area, only those who really can’t get out are going to stay there. Whereas, if things had been better, they probably would have stayed longer. So that’s number two: much greater and more organized humanitarian aid, much higher contributions from the rich countries into the UN funds. And number three, we need to have a much more aggressive, well-organized, and transparent resettlement policy. It makes little sense to force people to put their babies and their lives onto these precarious vessels in the Mediterranean and risk death, or to tramp across Eastern Europe, as we’ve seen. We need to have much higher numbers of people being resettled and then an incentive for people to stay where they are until the time for resettlement comes, have an orderly resettlement program. This is a new diaspora. I’m Jewish. Many people in my family talk about the Holocaust and how Jews are scattered from India, which is where I was born, to Latin America, to you-name-it. Syrians are going to be saying the same thing. These are journeys just to survive and so we should be thinking about how to facilitate that, not how to block it.